Perez Hilton (né Mario Armando Lavandeira Jr.) is the dad of Mario Armando Lavandeira III, who was born via a surrogate mother and an egg donor two days after Valentine’s Day, on February 16, 2013. In May 2015, Mario got a new sister, Mia, who was also born from a surrogate mother. 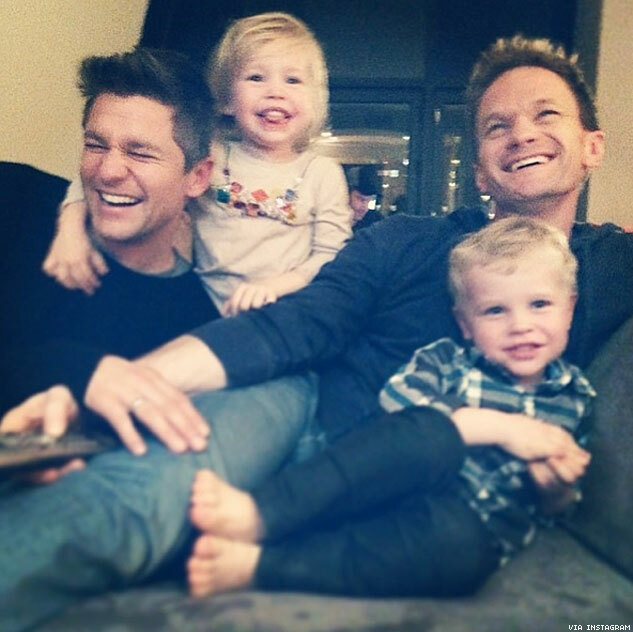 Hilton raises the siblings with the help of his mother and a nanny in New York City. 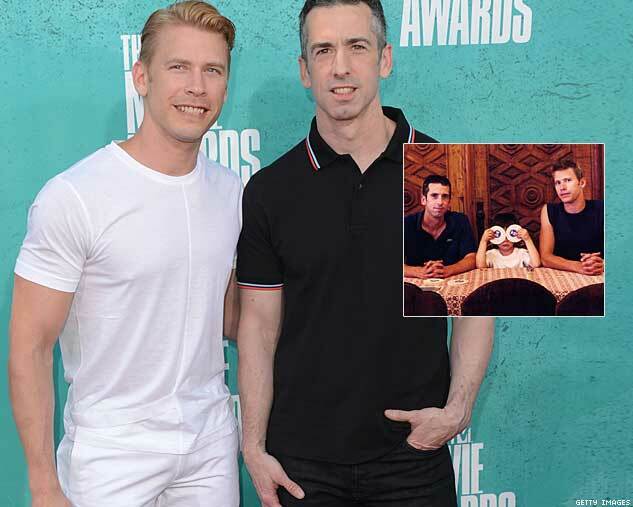 Currently single, he told the Associated Press that "didn't want to worry about a relationship of mine interfering with the happiness and well-being of my children," and "every day is Father's Day for me." He also wouldn't allow baby Mia out in public until she received her two-month shots, because he is "pro-vaccination." 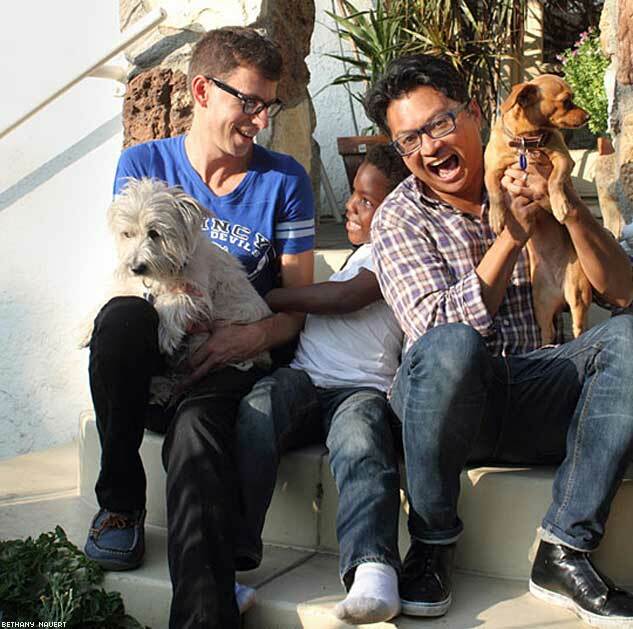 The American Horror Story: Coven star and his husband, Hugo Redwood, last year adopted 3-year-old Declan, to whom they’d been foster parents since he was 2 weeks old. 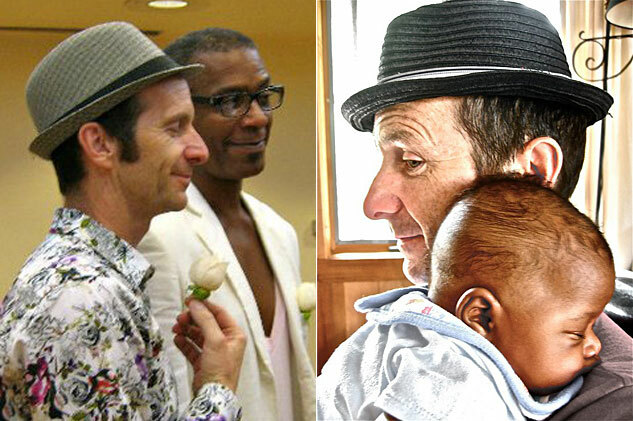 The couple received a Let Love Define Family award at the annual RaiseAChild.US Honors gala in May. 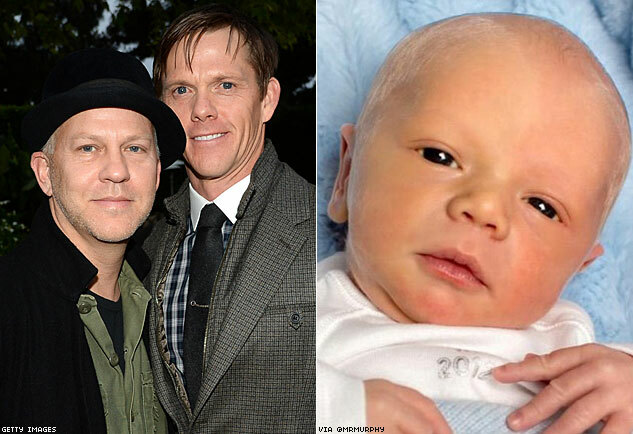 Producer Ryan Murphy and his husband, David Miller, are the fathers of Logan Phineas, born December 24, 2012, via surrogacy. 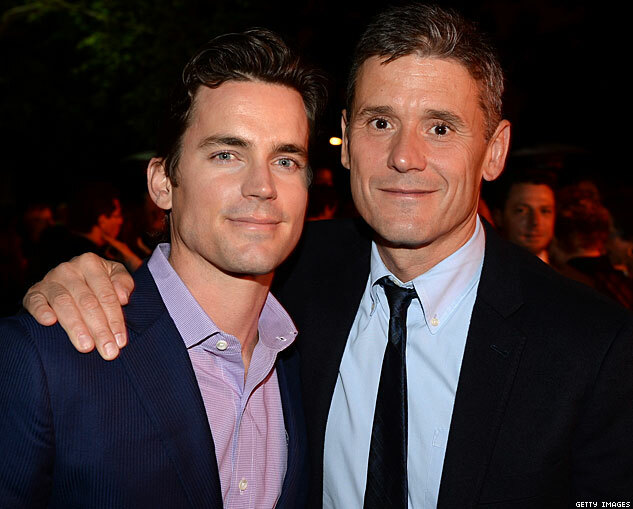 Their journey to fatherhood partly inspired NBC’s The New Normal, which Murphy created. 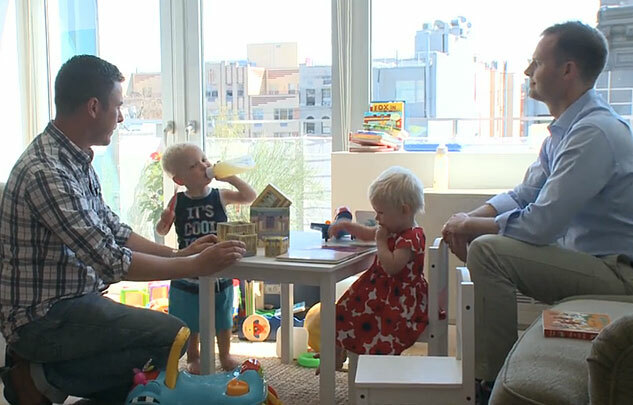 British-born designer Jeremy Brandrick, who was featured on Project Runway season 12, is raising 2-year-old twins — son Benjamin and daughter Alexandra — with his husband, Adam Morris, in New York City. His twin sons, Matteo and Valentino, were born in 2008. Precious director Lee Daniels has had his twins since they were 3 days old. Clara and Liam were born to Daniels's brother and his girlfriend and adopted by Daniels and his-then partner, casting director Billy Hopkins. See a great picture from their W photo shoot here. Bill Horn and Scout Masterson, Tori Spelling’s friends (the "Guncles") and regulars on her reality show Tori & Dean: Home Sweet Hollywood, welcomed daughter Simone Lynn Masterson-Horn in 2010. Clay Aiken and platonic baby-making partner Jaymes Foster welcomed their first child together in North Carolina in August 2008. 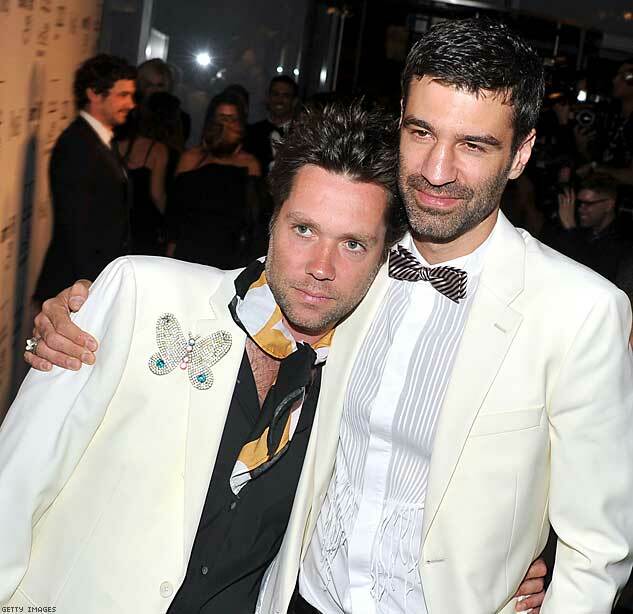 In 2011 singer Rufus Wainwright and partner Jorn Weisbrodt celebrated the birth of their daughter, Viva Katherine Wainwright Cohen, born via surrogate February 2 in Los Angeles. The birth mother, Lorca Cohen, is the daughter of legendary singer-songwriter Leonard. 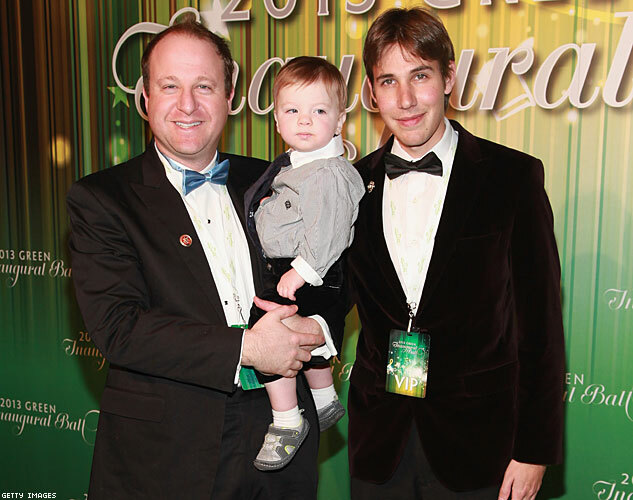 Colorado congressman Jared Polis and Marlon Reis celebrated the birth of their son, Caspian Julius, on September 30, 2011.